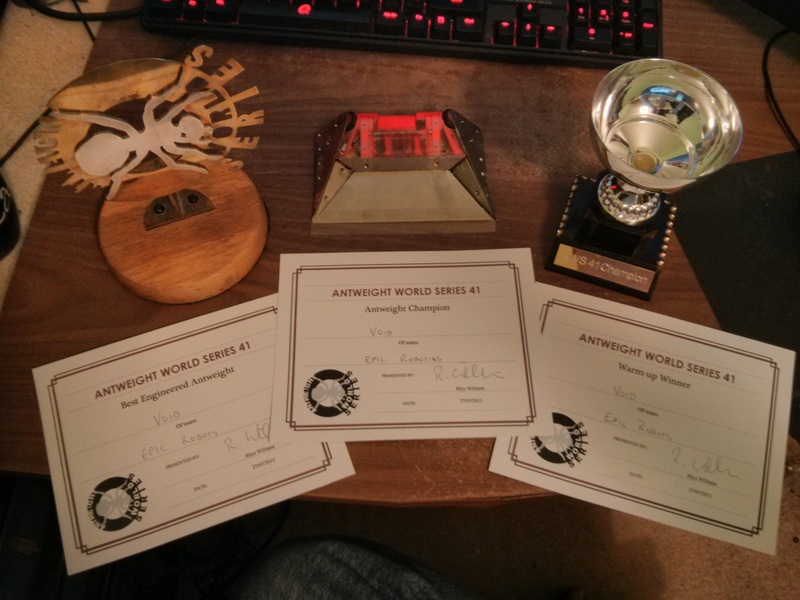 A new Non-AWS antweight event for 2014. Last edited by limpet on Wed Dec 04, 2013 1:21 pm, edited 1 time in total. I`m building a new hexagonal arena for the event. Possibly using the robot wars format of 4 way melees to start then one on one fights to follow up. Not that it matters as it's your event and you're free to run it however you wish to, but I personally absolutely despise melees in a tournament. We used to have melees in the early rounds of AWSs way back before double elimination was introduced, and I don't think I've ever spoken to anyone who enjoyed it. That being said, there's certainly room for a combination between the two systems; like, have a 4-way melee, and the 2 winners go into the winners bracket and the two losers go into the losers bracket? Melees tend to be good for spinners given the choice of attacking a non damageing robot or a spinner people tend not to go for the spinner. Thanks for the feedback, might be better to just have a non-spinner warmup using melees then? All for melees in whatever system. However I think the winner/losers bracket system Scott mentioned would have to be used. It also depends on variables like how much time we have/how many people are there etc. Good to see you back Dan Can we expect an updated Antisocial Ant and Thug Ant, or do you have something else planned? Just dropping in after a break, everything is still on track and all are welcome. I havnt set up a sign-up page yet can someone point me in the direction of how to do it please? Instructions are here - carefully hidden in the Committee thread so that only registered users can see them. I need to get an idea of numbers turning up and how many robots there might be, there have been no sign ups yet so please if you intend to come let me know.